Above postcard, circa 1920, kindly sent by Rory Kehoe. 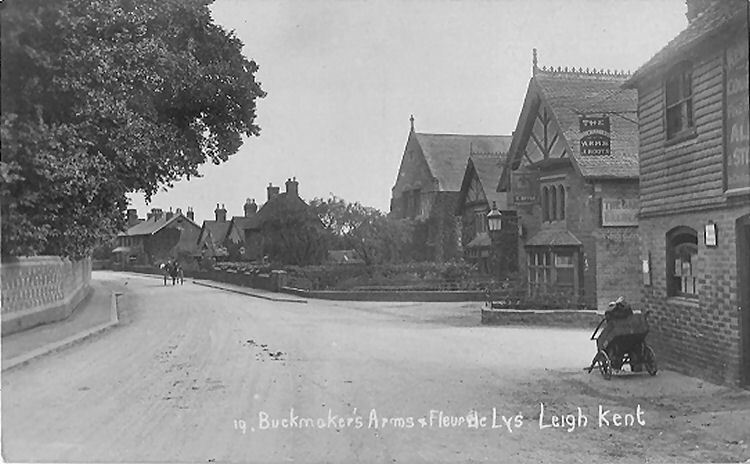 Also showing the "Brickmaker's Arms." Above postcard, date unknown, showing the pub on the right, kindly sent by Mark Jennings. Thomas Baily built four cottages on the corner between the High Street and Lower Green in 1855. These four cottages were bought in 1870 by Bartum and Co., brewers of Tonbridge. 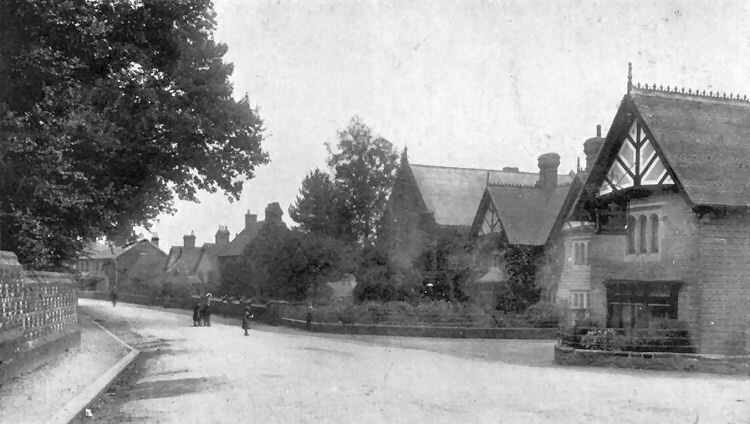 Later in the same year the cottage nearest Lower Green was extended by a wing of similar design and with the adjacent cottage became a public house, taking a transfer of the licence once held by the "Porcupine" and later the "Goats Head." The two cottages to the east of the "Fleur de Lys" were later sold to Samuel Morley. At approximately the same time that Thomas Baily erected the four cottages in High Street, two of which were later extended as described. He purchased Home Farm at which time he rebuilt the front of the farmhouse and in the same year he built Laundry Cottage as a bakery. 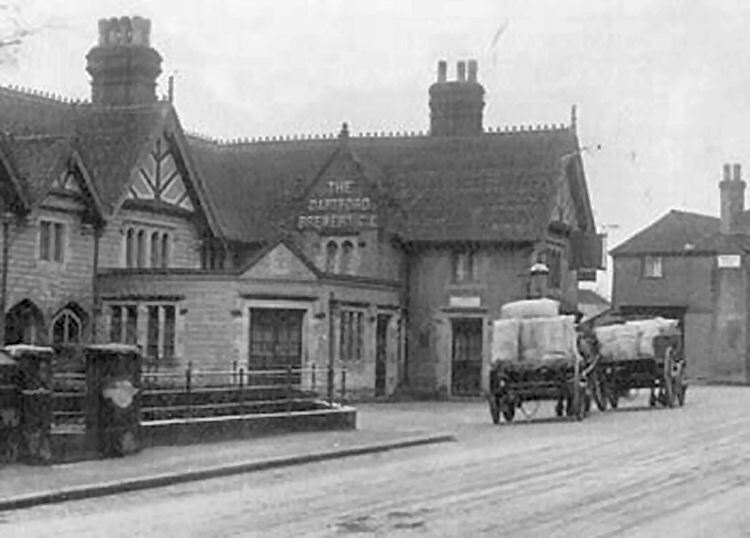 Between 1911 and 1921 the licensees of the "Fleur de Lis Hotel" were Polly (nee Rumley) and James Henry Jones and where Beryl Pawsey (nee Jones) was born in 1920, although she was only 18 months when her parents moved from Leigh. 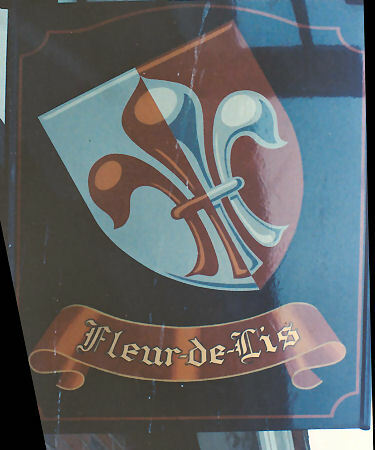 When Polly and James Henry were licensees the "Fleur" was owned by the Dartford Brewery. 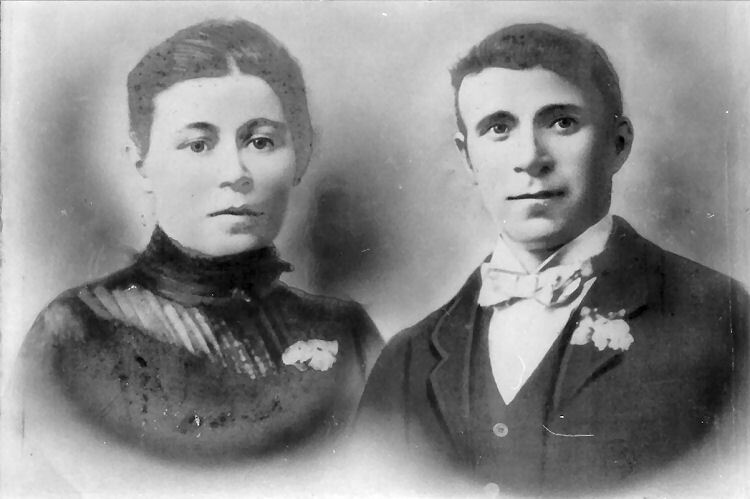 Above photo circa 1911 showing licensees James Henry Jones and his wife Polly.